Celebrating is the easy part. Lights, laughter, favorite food and sweet treats, songs that set bells a-jingle and us all warm and tingly with joy, and the Baby in the manger . . . yes, celebrating falls easy into our Christmas lives. It's living Christmas out in the gritty grind that is sometimes very, very hard. I must choose my words wisely to write this, I beg your patience for being deliberately vague about details. I don't WANT to be nice. I don't WANT to pray for them. 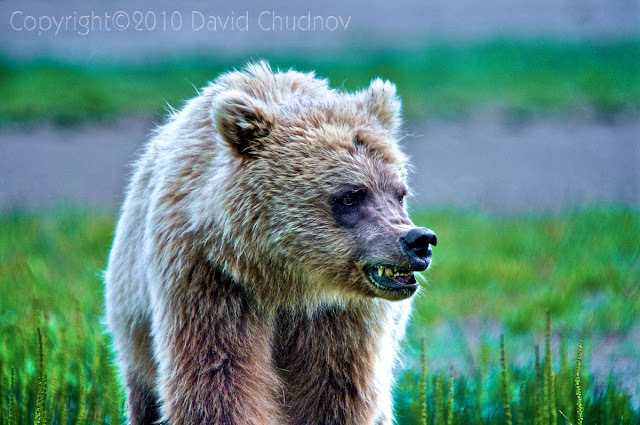 Mama Grizzly is growling low and menacing in me and I would like to unleash her to tell them about themselves. I could have stood it if they had hurt me, but they hurt my cubs, and now are adding insult to injury--the Mama Grizzly crouches, ready to spring, everything in her screaming for the chance to put them in their place! All stirred up inside, alone in my living room, I called home to my parents to vent my molten emotion. I wanted sympathy. I wanted vindication for the way I was feeling. Mommy will know how I feel! She'll get all grizzly with me over the wrong done to her grandcubs and even if we both know better than to actually attack, we'll want to . . . together! We'll talk it through and she'll help me sort it all out. But it wasn't my mommy who answered the phone. Grandma Grizzly was busy having the flu, so it was my daddy who got the ear-full of my upset. He didn't exactly play along with my multi-generational Grizzly Bear theme. Instead he gave me Coach Allen who coached football and basketball for 40 years and who knows how to get better stuff out of his players than they think they've got in them, better stuff than they naturally feel like giving. He said it was an opportunity to better understand Jesus. Have you ever run into a brick wall? Gotten ice water thrown in your face? Yeah, it was a lot like that. But Daddy, can't you see how wrong they were and how the cubs were only trying to do something good? Just like Jesus, he so humbly reminded. No judgment in his words, only the tempered steel of one who walks close with the God he loves. 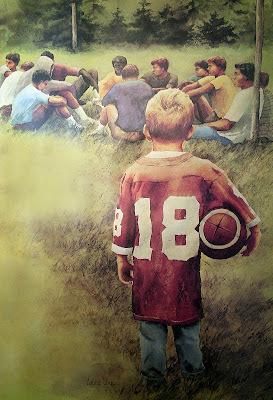 As Daddy coached, his words brought much-studied images to mind of all I knew. Jesus came with only love in His heart and wanted only to rescue the people He loved. How did they treat Him? They rejected Him, spat on Him, beat Him and crucified Him. What did He do? Gave His life for them and asked His Father to forgive them because they didn't even realize what they were doing. And His Father, because He loved the black-hearted abusers too, forced Himself to sit by and watch His Son have all His love wrung out for them. He could have gone into ultimate Grizzly Bear mode! He could have destroyed them with a word, He could have sent Heaven's host to give the wrongdoers their deserved comeuppance, or with no effort at all, He could have just simply quit sustaining the very breath and energy it took for them to curse and torture and kill Jesus. But He didn't. He allowed His Son to be exceedingly great in the face of earth's most impossible moment. Mama Grizzly stopped dead in her tracks, frozen by the truth. I still don't want to be nice. I still don't want to pray for them. They still don't deserve it. And I still, in my mama's heart, want them to make the apology they owe. it's time to live the Christmas I say I celebrate, and Christmas is only Good Friday's prologue on the way to Easter's victory. Without Good Friday and Easter Sunday, Christmas would not be worth celebrating, and if I am unwilling to live sacrificial love in my Christmas, I have no right to celebrate at all. I have often heard my daddy say when someone is causing friction, "Jesus loved 'em enough to die for their sins, but I struggle with that person." That's honest and that's where I am with this. But since Jesus did love them enough to die for them . . . AND for me . . . at my most black-hearted . . . I can follow Him and pray for them and be kind despite everything. It also means I can support my son when he faces a tough-to-swallow moment of his own and stands humbly tall for the love of people who are counting on him. As Coach Allen, aka Daddy, said, "That's a pretty good motivation." 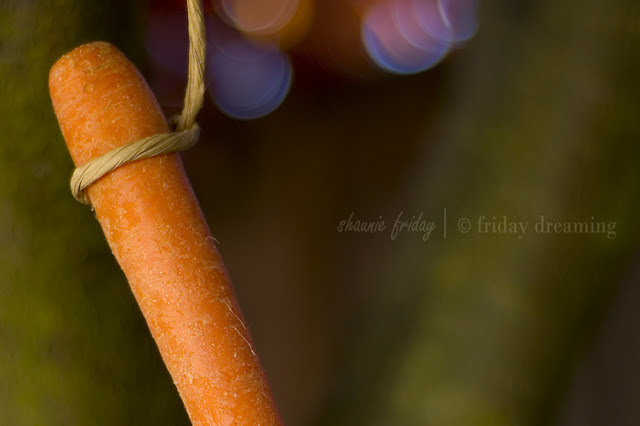 Is there any Good Friday or Easter in your Christmas? Is God giving you opportunities to live Christmas beyond the celebrations? P.S. You'll be happy to know that Grandma Grizzly is feeling better and the next day, she did indeed commiserate with me and finished helping me smooth my ruffled hackles. So good of God to give me such wise and wonderful parents!! Joining Bonnie at Faith Barista JAM! Woody Allen is oft-quoted as saying, "If you want to make God laugh, tell him your plans." Now, Woody Allen is an agnostic on his best days and an atheist on his worst, but even Christians sometimes use this quote as though it were true. How many times have we all heard testimonies of missionaries or pastors that follow an arc something like this: "I never wanted to be a missionary/pastor; that's the LAST thing I wanted to be!" They sigh wistfully . . . remembering the passion they once had . . . and say, "No, I dreamed of being a . . .
writer business owner (fill in your own)"
then, steeling themselves, carrying grimly on with their story they say, "but God had other ideas, and now I am doing His work. You should be doing God's work too!" I am the daughter of two teachers. 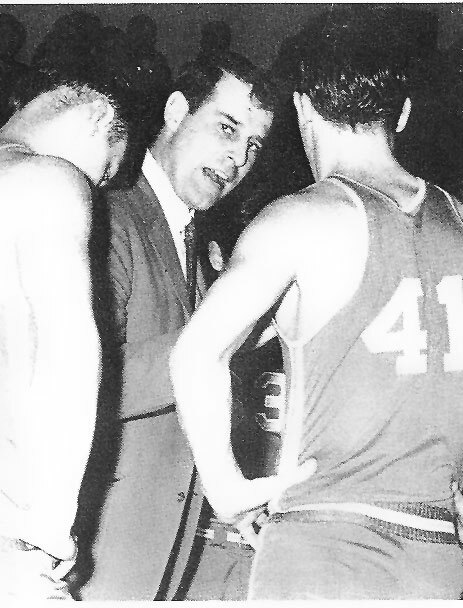 Daddy taught Physical Education and coached football and basketball for forty years, and taught young athletes about faith through the Fellowship of Christian Athletes. Momma taught several grades from preschool through middle school, not to mention countless hours of women's Bible studies. 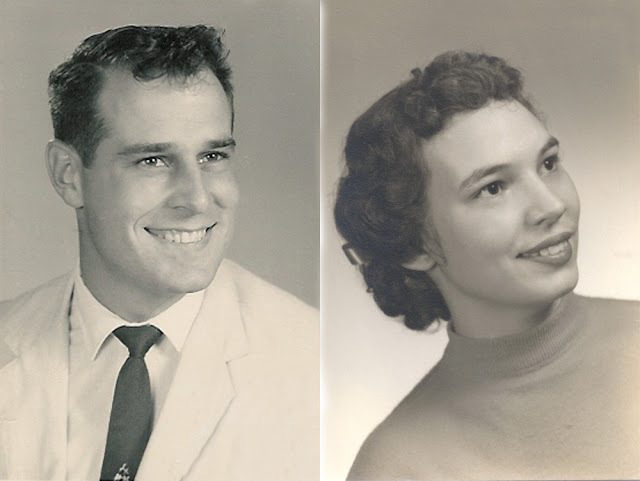 Between the two of them and their teaching careers that spread across two countries, their impact and influence on young lives will only be measurable in heaven. They both teach like most people breathe. It's part of who they are. Even now, though both have retired from the teaching jobs they loved, whether it's with their most fortunate children and grandchildren or people in the community in various venues, they continue to teach and encourage and inspire. Stacking Lack or Gathering Bounty?